thank you guys, appreciate the help. I have one other question I have a little rubber square and I'm not quite sure where its come out from and can not see it on the guide any ideas? This rubber square comed from the microphone hole on the lower part of the phone. It's internal and protect the microphone from the dust. 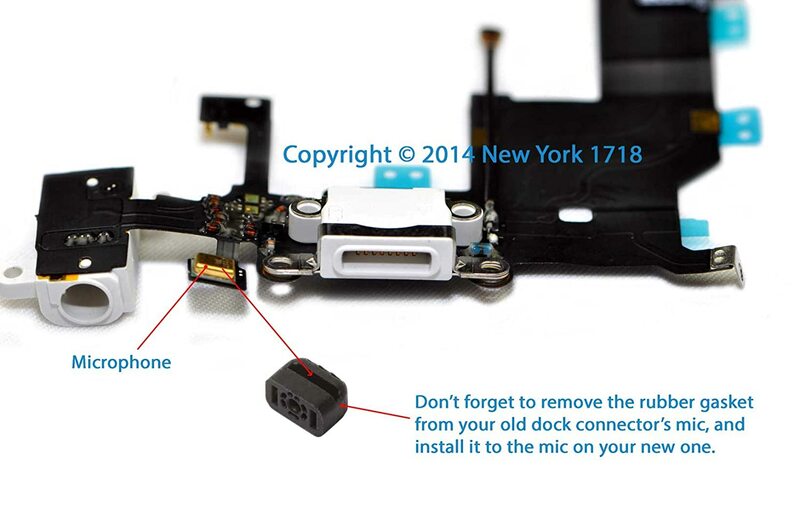 Are you following an iFixit guide? If not, go to that page, choose the guide that you need, and you will see that there are steps that indicate what screws go where, and their respective sizes. You will need an accurate measuring tool such as this caliper to measure the length, and trace each screw back to it's original place in the phone. The most important screws to watch out for are those that hold the shield covering the screen connectors. If in doubt, don't put any there. If you use a screw that's too long, it will rip through the board, potentially breaking traces within the board and causing very expensive damage. It's the rubber for the mic. Goes between the headphone jack and the charge dock. Sam, the individual guides on here list the screw size with each step.